In November, the manufacturers had no rest, so they presented interesting models that are appropriate to buy at the end of 2018 – 2019. So next comes the review of the best phones released in November 2018. The coolest device of the Mate 20 line from Huawei presented in October, however it became available in Europe and Russia in November. At the beginning of December and even in January-February 2019, this is the best device you can choose among smartphones. This is important: the phone received a new 7-nm HiSilicon Kirin 980 processor with powerful graphics, coprocessors, AI technology. It works quickly, uses little energy, and that increases autonomy. Next – Amoled-screen by Samsung size of 6.4 inches with a protective Gorilla Glass on it, also display comes with HDR10-support. The main one is 40 MP, f/1.8, the size is 1/1.7 inches. Secondary – wide-angle camera with a resolution of 20 Mp, f/2.2, size 1/2.7 inches. Telephoto – for shooting with 5x zoom, optical stabilization, 8 megapixel, f/2.4. Because of three cameras, the functionality is expanded when shooting, the phone also can record 4K video, and shots better than even new Google Pixel 3 XL, although the it is positioned as a camera phone. Huawei really surprised with its new flagship. The listed characteristics are basic, but also there is IP68 water protection, a cool DAC (not dedicated), providing high sound quality, fast and wireless charging of the Qi standard support. There is a 40W “native” charger in the kit, that in 30 minutes fills battery from 0 to 70%. And yes, this is the best smartphone in November … December and, possibly, January 2019. Another cool device from the Chinese brand OnePlus. The company introduced an improved version of the “six” – OnePlus 6T with TOP hardware, cool cameras and a screen, covered with new protection Gorilla Glass 6. Display – Optic Amoled (in fact, this is the Samsung Amoled screen with the OnePlus add-in, which makes it possible to call it Optic) 6.4 inches in size. The processor is a 10-nm Snapdragon 845 with Adreno 630 graphics, 8 GB of RAM and a 256 GB or 128 GB disk. Cameras to the rear – with resolutions of 16 and 20 megapixels and f/1.7 aperture. The main module has received optical stabilization and pixels of 1.2 microns. It supports 4K video at 60 FPS; HD – at 480 FPS. NFC, fast charging, 2-band Wi-Fi and a 3700 mAh battery are included. There is no 3.5 mm headphone jack; The headset is connected via Bluetooth 5.0 with aptX HD support, so high sound quality is guaranteed, as well as low power consumption by the Bluetooth module. The device is great and available for $600. It a good and more cheap alternative to the Huawei Mate 20 Pro. 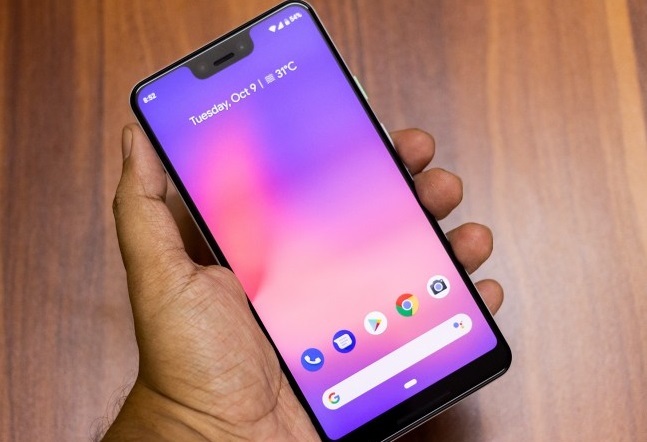 The next phone – third pixel by Google. The previous two smartphones were cool and even the best in terms of photo, the new Pixel met expectations too, although in photo it is worse than Huawei Mate 20 Pro. 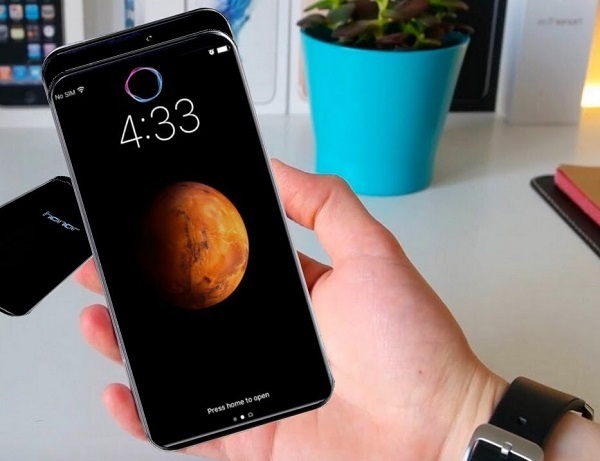 The phone was introduced in October 2018, but became available for sale in November. It got the classic hardware set: Snapdragon 845, 4 GB of RAM and a 64/128 GB disk. There is IP68 water protection, a 6.3-inch P-OLED display with big notch and Gorilla Glass 5, HDR and a DCI-P3 color profile are supported, therefore, the picture on the phone screen looks very cool. Next – the rear camera with only one module (Google does not change the tradition), and that is not in trend now. This is a 12-megapixel sensor with f / 1.8 aperture, Dual Pixel focusing system and optical stabilization, 4K record capability at 30 FPS. And although the camera is only one, the phone is able to blur the background thanks to cool software. But on front panel Pixel 3 got 2 cameras, one of which is made with a wide-angle lens, which can shot excellent group selfie. The device has some drawbacks: there is no headphone jack (only Bluetooth connection for headset), no flash drive slot, only 4 GB of RAM (why, Google? ), a large cutout in the screen, design without a twist, high price. The Chinese manufacturer Xiaomi systematically updates its line of smartphones. 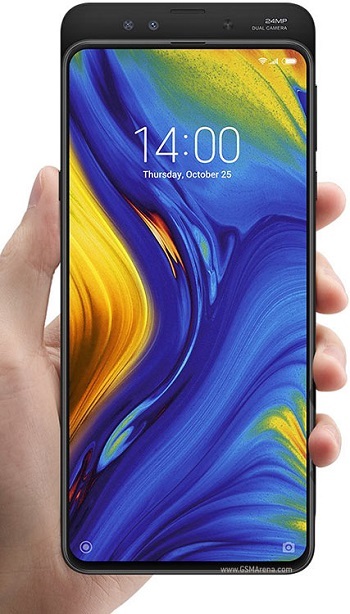 In October, the company showed slider Mi Mix 3, which became available in November. The phone is interesting with full framelessness – there is no notch here and the front cameras are hidden in the upper edge, and if necessary they can be pulled out using the slide mechanism. Screen – Super Amoled with a size of 6.4 inches, HDR-support and protective Gorilla Glass by Corning. The phone comes with Android 9, inside – a Snapdragon 845 processor and 8 or 10 GB of RAM, which is strange, because we know from specifications that chip supports the maximum memory of 8 GB. Rear cameras – with resolutions 12 + 12 Mp. The main module has received optical stabilization and a matrix of 1/2.55 inch; secondary – with a telephoto lens for shooting with an optical zoom. The quality of photo is good, and DxOMark studio put Xiaomi Mi Mix 3 on the 5th place in the rating of camera phones. On front there is also a dual camera with 24 and 2 megapixel modules. An additional sensor is responsible for the depth and it can defocus the background behind the object. A big plus is the Qi wireless charging it the kit, which separately costs about $30. Plus, there is a 2-band Wi-Fi, Bluetooth 5.0, NFC, face recognition technology. Disadvantages are standard: there is no slot for a flash drive, a jack for headphones, a dedicated DAC (it is rarely found in other models) and stereo speakers. Nevertheless, the phone is inexpensive for its hardware, so it will find buyers guaranteed. This flagship of Huawei`s separate brand was announced and became available on sale in November. The smartphone is also completely frameless and without notch, and the front cameras are hidden in the edge, and if necessary, you can activate them using slide-mechanism. By tradition, the phone is equipped with a 6.4-inch Amoled screen, runs on Android 9 Pie and HiSilicon Kirin 980 processor. This is the same 7-nm chipset that stands in Huawei Mate 20 Pro. 24 MP, monochrome sensor, f/1.8. A rare combination of camera modules, it is still unknown how well the phone can take pictures (expect a review soon). Fast charging is included, there is also a fingerprint scanner under the screen (as in Mate 20 Pro), NFC, slot for a flash drive, 2-band Wi-Fi and Bluetooth 5.0. There is no 3.5 mm jack – the only drawback of the phone.